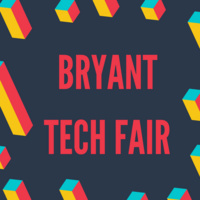 Come and see interactive exhibits of the innovative technology used at Bryant University. Along with this massive showcase, collect swag and enter raffles and giveaways. Win a 55" C551 TV, HP Sprocket, Star Wars Jedi Challenge AR, Bluetooth Speakers, Solid State Drive, $250 American Express Gift Card, Laptops, Amazon Echo Dot, Gift Cards and more! You can also register to participate in a Microsoft HoloLens Demo. If you'd like to register, please sign up here. Instructor-led training (15 to 20min sessions) will take place in conjunction as well. Really Enjoyed walking around and checking out all the new Innovative Technology.